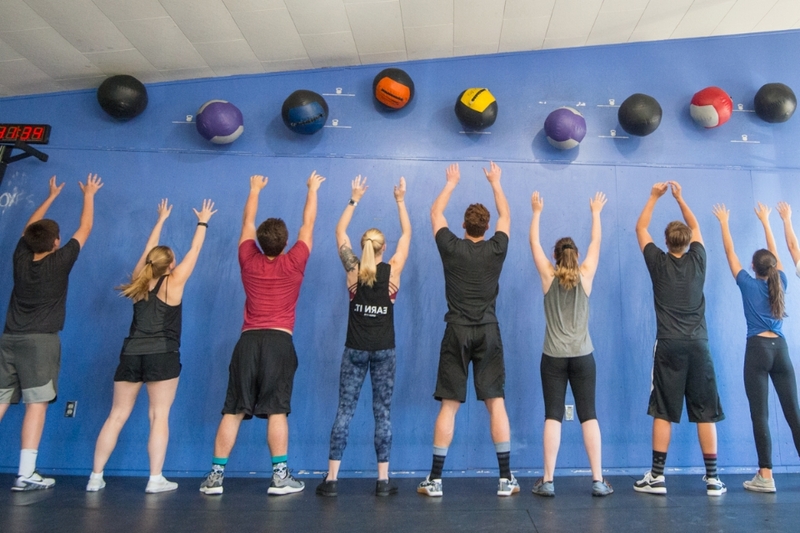 Teens: At TJ’s Gym, our teen athletes experience camaraderie and team-building in a safe, supportive, and high-energy environment. Coach-to-athlete ratios are optimized for individual instruction and attention. While our program is great for developing assets applicable to sports performance, teens who are not on a formal sports team are welcome, and many of our clients even consider TJ's their sport. 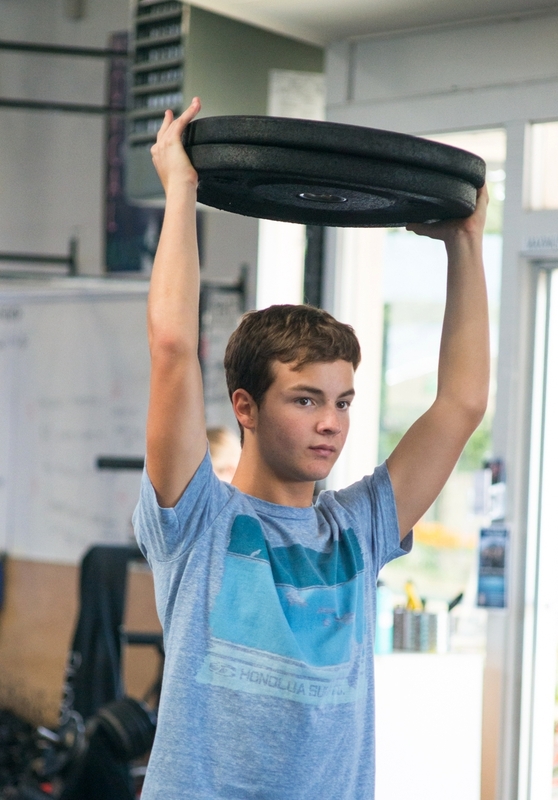 Our teen strength-and-conditioning program includes cardiovascular training through running, rowing, and jumping rope; speed and agility training through plyometrics, jumping on boxes, footwork drills, and more; core strength and competency in body-weight movements through pull-ups, pushups, and ring work; and strength development using weight training and other resistance work. We prioritize proper movement mechanics to optimize safety and efficiency in our athletes. Our emphasis is on overall strength and conditioning for all athletes, as opposed to specialized, sport-specific instruction. However, upon request, we also work with teams and individuals for focused, sport-specific training for optimal performance. All new teen athletes must do two private sessions with one of our coaches prior to joining classes. This is to ensure that teens enter group sessions familiar with the movements required and ready to move safely. We discount these sessions for teens: $70/hour. At least two are required, but more are available upon request. We offer ongoing private training for teens, at $100/hour after the initial 2 sessions at $70/hour. Tweens + Kids: For our tweens and kids classes, we do not require private entry sessions. During our kids sessions, children squat, push, pull, throw, run, jump, row, and do all sorts of movements in mechanically correct ways. Each workout includes refined instruction in at least one elemental movement, a game, and a critical component for improved overall fitness. 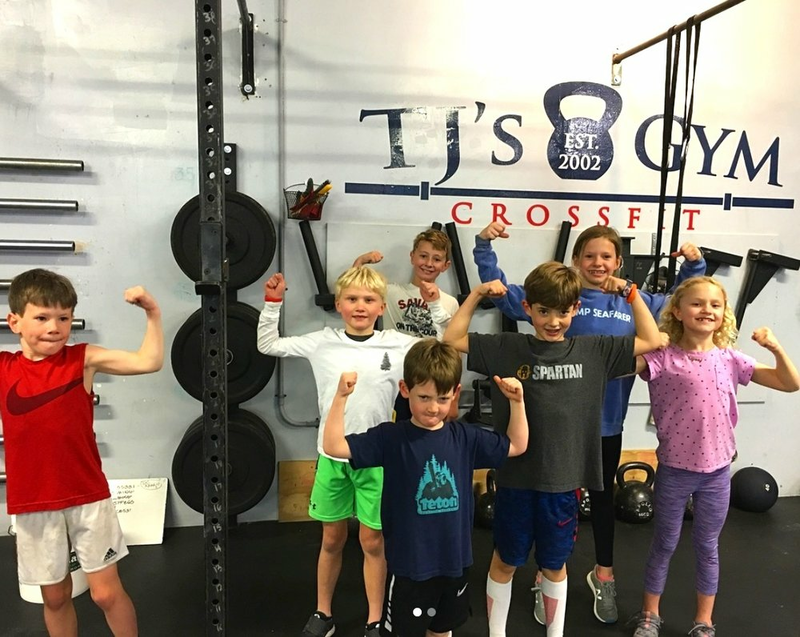 Just let us know when you have a group of 3 or more kids who would like to train together, and we will provide a coach and gym space at a time that works for your crew! You can decide how many classes you want them to have; there is no long-term commitment and no scheduling hassle! We are excited to be able to offer this open and flexible opportunity to get your kids in the shape of their lives. Email jessica@tjsgym.com to get your kids started. No classes April 8th - April 13th for Spring Break. Our youth classes run year-round. Classes are offered at all three of our locations. If you have a group of at least five teens who are ready to start training and would like to add a class, please let us know! READY TO JOIN OUR YOUTH PROGRAM?